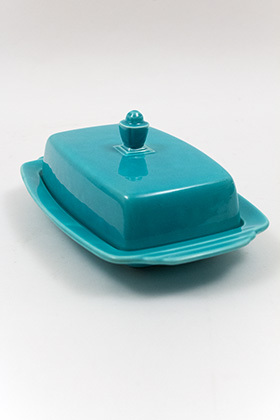 Circa 1940-1959: The Harlequin butter dish shape was borrowed from a line called Jade, which was designed in the early 30s. Vintage Fiesta glazes as well as original Harlequin solid colored glazes were used on the shape. 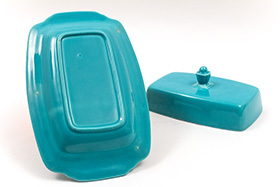 This is the larger of two sizes of butter dishes manufactured by Homer Laughlin to go with their pottery lines. Referred to as the 1/2lb. 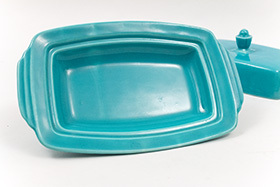 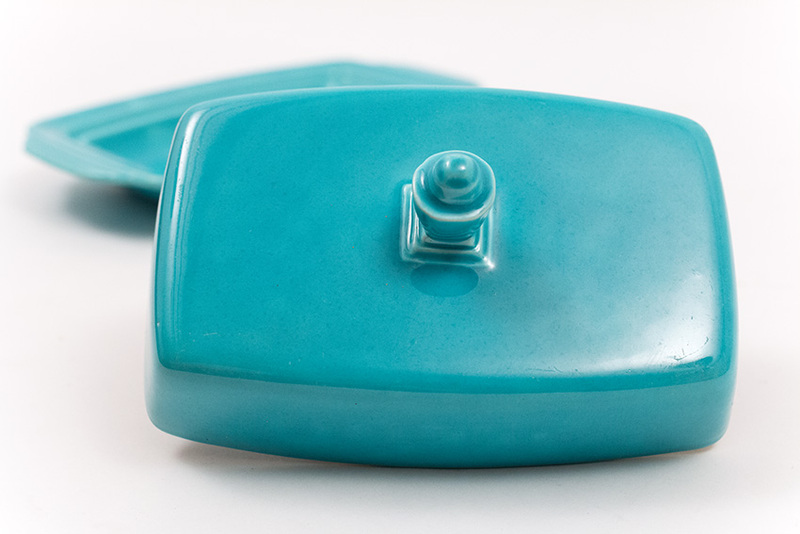 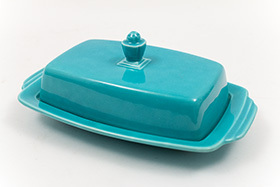 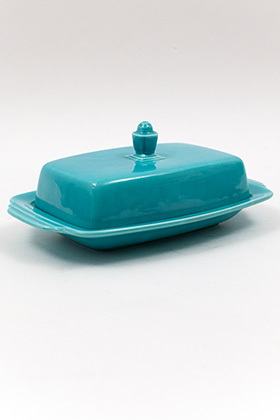 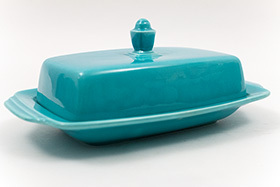 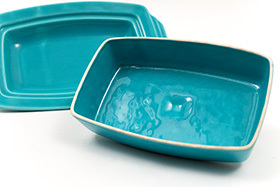 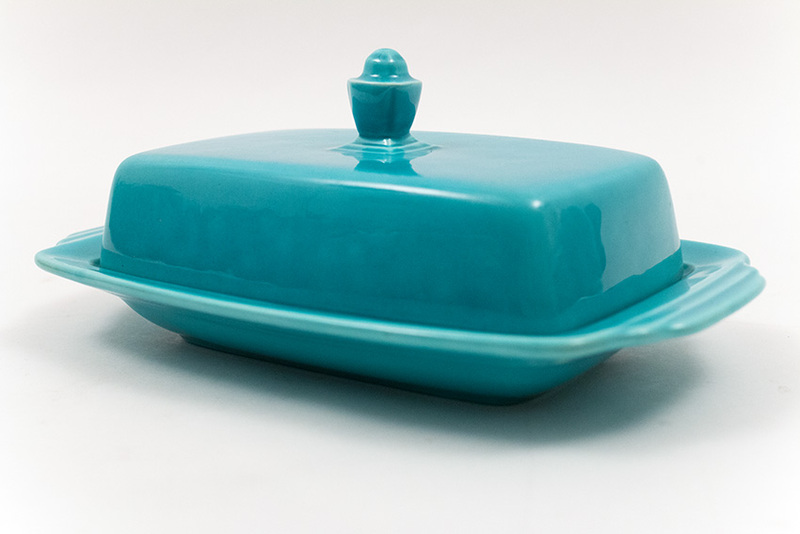 butter, this example in original turquoise glaze is in excellent condition with no chips, dings, flakes, no touch-ups or repairs (please note one light scratch on the lid, shown in photo 8). Harder to find and in great collector quality without issues or damage and a real treat for the vintage Homer Laughlin Pottery collection.